It has been practically confirmed that with a small occupied area such furnaces are able to effectively heat household rooms with an area of ​​up to 40 m². To obtain a higher heat output from the furnace, increase its size. 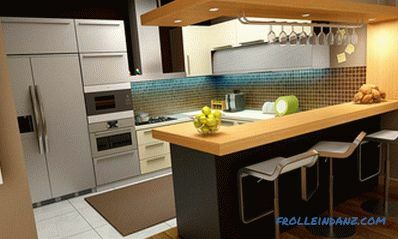 Before you make a stove, you must be completely sure that you can cope with this task. In the event that there is no such confidence, we advise you to invite an experienced stove-house counselor as an assistant. In this article we will look at how to do a swede oven with your own hands. For the success of the masonry works you should first examine the scheme, which indicates the order of the rows of bricks (the so-called ordering scheme). After that, it will be necessary to organize a test laying of bricks (without mortar) in compliance with the ordering scheme used. 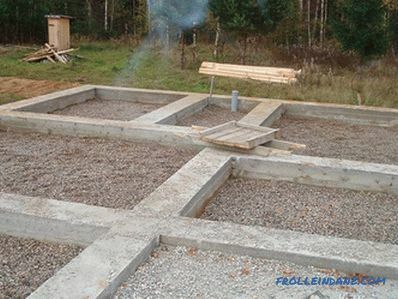 Such an operation will allow you to avoid any errors possible during the final installation of the Swedish furnace. In addition, thanks to this, you can determine the required number of "incomplete" bricks (halves or smaller parts). As the mortar used in laying the kiln, only special clay mixture is used. To make it, you will need to sift the clay selected for the job and fill it with clean water. In addition, well-sifted sand in an amount equal to the volume of clay should be added to this solution. Immediately thereafter, water is poured into the mixture in an amount equal to a quarter of the volume of the mixed clay. The resulting mass is thoroughly mixed to a consistency that resembles very thick sour cream in appearance. Before starting laying bricks, waterproofing is laid on the previously prepared foundation, which can be used as a normal roofing felt. Bricks must be moistened with water before laying, which excludes the possibility of their absorption of moisture contained in clay. 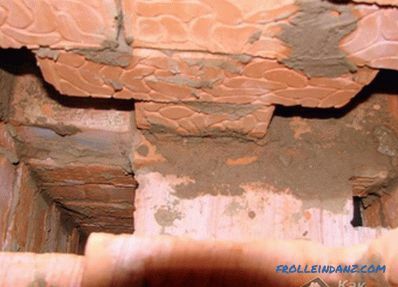 Brick laying on the bed is made by pressing it into the mortar, the surplus of which is then removed using a trowel. 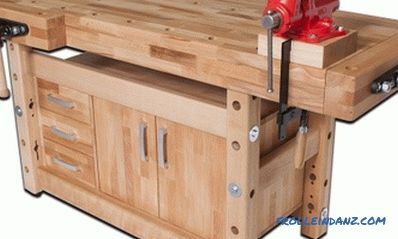 In the process of laying all the time should control the thickness of the seam, which should not be more than 5 mm. The furnace door is best placed on the end wall of the structure, which will considerably facilitate the laying of the log in the combustion zone. 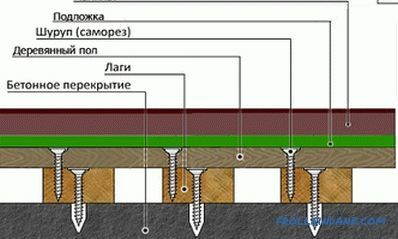 To securely fix the doors that are installed during the laying of bricks, the latter are reinforced with a wire, the free end of which is then embedded directly into the brickwork. 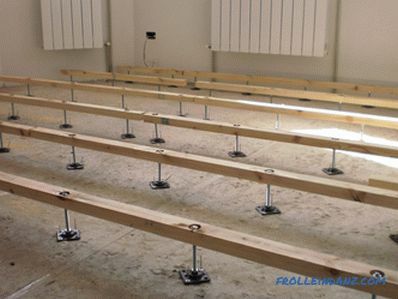 The first two rows fit on a plane bases with exact repetition of its configuration. Starting from the third row, space is provided for the camera, as well as the blower and inspection doors. 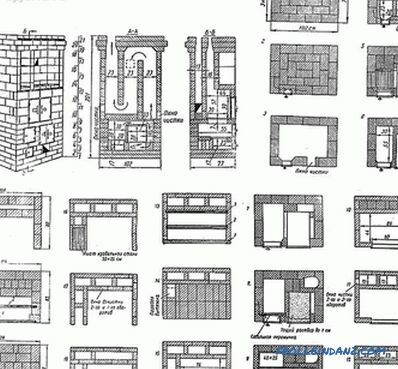 The fourth formable row should completely repeat the third, after which the cast-iron door is used, which is used to clean the furnace from the combustion products (ash). 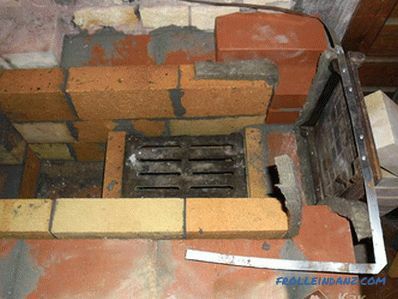 Then you can go to the tab of the so-called combustion chamber, partially laid out from fireclay (refractory bricks). At the same time, a gas outlet channel is formed that is offset to the rear wall. After that, according to the above scheme, the overlap is made between the back wall of the oven and the gas exhaust channel. All subsequent operations should be carried out in full accordance with the above ordering scheme (of course, taking into account the characteristics of the premises you are building). It should not be forgotten that all cast-iron and metal elements embedded directly into the masonry should be securely fixed in it using steel wire (previously well annealed). 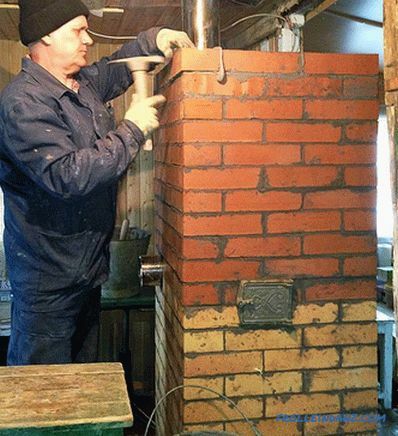 At the final stage of manufacturing the stove, the upper flue ducts are completely blocked (except for the chimney hole) and due to the expansion of the masonry, a small ledge of about 5 cm is formed. This video shows how a Swedish oven is built.